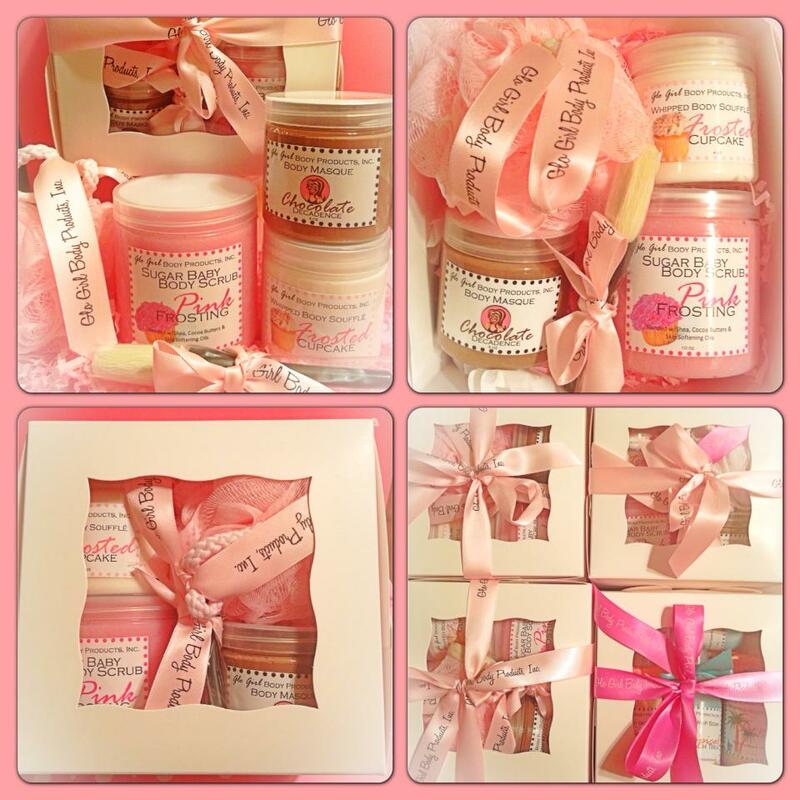 Some of our top selling products, wrapped up into one super sweet little gift box! Perfect for gift giving or.... salon use. 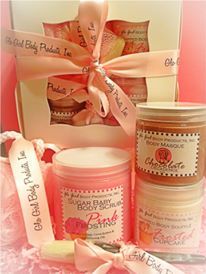 Our creamy Pink Frosting Sugar Scrub, Scrumptious Frosted Cupcake Body Soufflé and our popular Chocolate Masque. *Our products can be whipped up for bath & body treats or salon/spa manicure and pedicure treatments.